Check out all the top casino bonus offers available in April 2019! Important Notice: This article about the latest Casino bonuses and promotions to plat at our recommended Casino sites was last updated on March 29, 2019. Some of the online Casino bonus offers and bonus types might have changed since then. Once again, we worked hard to put together an extensive list of the best Casino bonuses available in April 2019. If you are planning to play Casino games in April, make sure to check out the promotions listed on this page. You can't find a Casino bonus in April 2019 that beats the ones on our list. Read everything about the free money, free spins, and match bonuses you can get to play Casino games in April. Don't forget to have a look at the requirements of each bonus - especially if you are planning to cash out your winnings. Since the sites you can play at differ from country to country, we apply several filters to our list. This helps us make sure you can get all the bonuses that are available in your country. 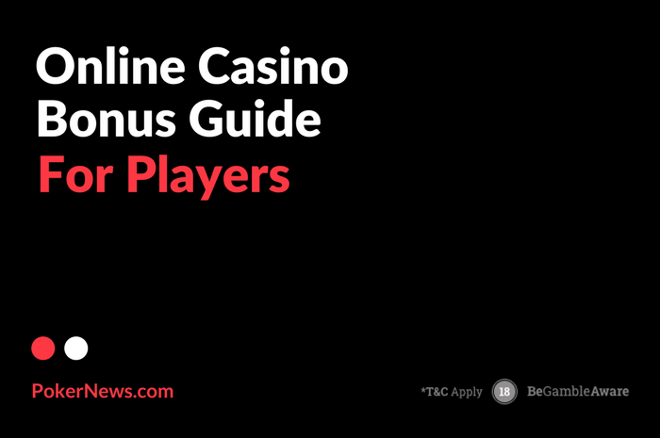 You can find the latest Casino bonuses by scrolling through this page or by using the menu below to navigate it faster. Here's the list of the best Casino bonuses available in April 2019. To help you get them, we've added everything you need to activate each promotion. If you need more information about the sites we've featured or want to know more details about the biggest Casino bonuses, scroll down to find the full review of each Casino bonus available in April. Let's have a closer look at the details of the biggest Casino bonuses you can get to play for free in April 2019. 888casino: £88 No Deposit Bonus for You! *: 888Casino latest bonus might change according to your location. For more info, check the bonus T&Cs. The Casino site of the second-largest online Poker site is an operator that needs no introduction, especially if this isn't your first time on PokerNews and you have played a poker tournament or two already. Know this: the same greats 888 did to grow their Poker site make their Casino offer amazing. 888Casino features the best Slots, great live dealer games, and the largest no deposit bonus in April. If you are all about winning real money on a superior Casino and with the lowest possible investment, 888 is a great UK Casino for you. Because you get a €88 free money bonus on signup. This no deposit bonus has been around for a while already, but this month you need to use the latest no deposit bonus code to activate. The new bonus code to get the bonus is Welcome1. Sign up for a a free Casino account at 888Casino via this page and use the bonus code Welcome1 to collect your bonus. You receive €88 (or £88, depending on your country) in free play money. The second bonus kicks in with your first deposit and it's a more traditional 100 percent match bonus of up to £100. *: BGO Casino latest bonus might change according to your location. For more info, check the bonus T&Cs. 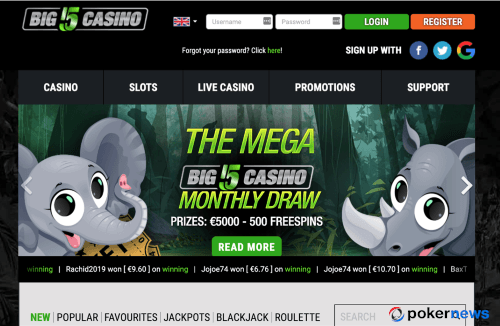 In April 2019, bgo Casino continues to offer a 50 free spins bonus on a deposit of £10 or more. Looking for a no deposit bonus? There's one for you at BGO Casino! Register a free account via this page to receive 10 real money spins! With these wager-free bonus spins you can play Starburst, Finn and the Swirly Spins, Aloha! Cluster Pays, and Wild Wild West. For more information on the Terms and Conditions connected to this free spins 1st deposit bonus, check out the bgo Casino website. *: LeoVegas latest bonus might change according to your location. For more info, check the bonus T&Cs. I wonder if that phone survived winning such a sum of money. Or the owner just smashed it out of excitement. *: Jackpot City latest bonus might change according to your location. For more info, check the bonus T&Cs. This bonus sum might seem unusual but it's not a joke. 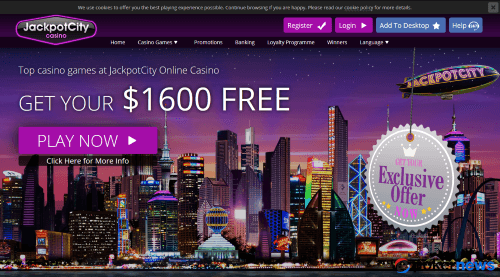 Jackpot City Casino will double your deposit money. Not only the first time you deposit but the first four times! Play, enjoy and make three more deposits to get a total bonus of $1,600. You can use this money to play one, ten, or a hundred games on their website. They have 400 of those, so you won't get bored. *: Betway Casino latest bonus might change according to your location. For more info, check the bonus T&Cs. 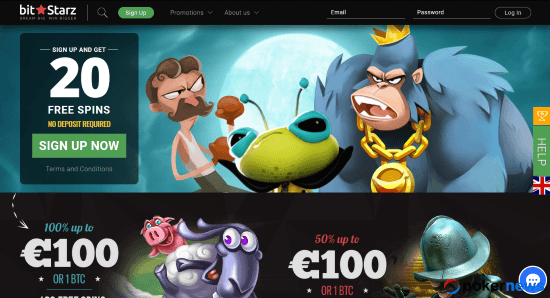 April might be the perfect month to discover an industry-leading Casino site like Betway, especially as their latest Casino bonus gives you a lot for your games. As a new player, this month you can collect up to £1,000 on your first three deposits. This bonus is available to all new players who deposit via Credit Card, Debit Card, and PayPal. The wagering requirement applied by Betway to their latest bonus is of 50x. *: Sky Casino latest bonus might change according to your location. For more info, check the bonus T&Cs. Playing at a great gaming site like Sky Casino is always a good ideal. 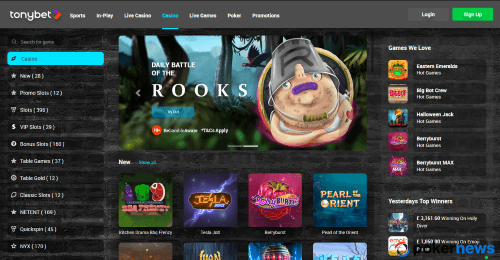 Regardless of their deposit bonus (I'll get to that soon), your account here lets you play some of the finest online gambling games ever created and probably the best Live Dealer games in 2019. The Sky Live Roulette is a game like no others and it's definitely your top chance to feel like James Bond...even if you prefer your pyjamas to a tuxedo. Bonus-wise, you find here a great "Play £10, get £60" offer that gives you plenty once you start to discover the real money games on the platform. 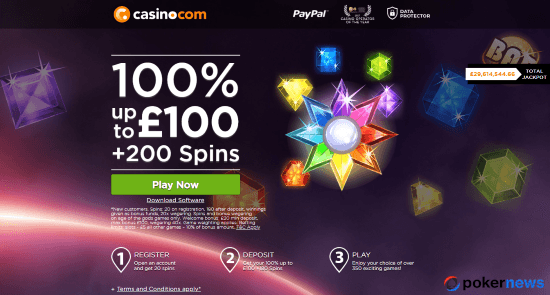 There are no bonus codes to get a no deposit bonus at Sky Casino in April - but I am sure you'll find that there's more value in their "Play £10, Get £50" promotion than in a random 10 free spins on Starburst bonus. *: PlayAmo Casino latest bonus might change according to your location. For more info, check the bonus T&Cs. PlayAmo is a new Casino but it stands out in a couple of areas. Firstly, registration on the site is insanely quick – it takes only eight seconds. Secondly, their Slot races are mind-blowing. You can win up to 4,500 euros and 10,000 free spins every week in April 2019! Plus, their latest welcome bonus is the best of both worlds - a 100 percent deposit match up to €/$100 AND 100 free spins. OR 50 percent bonus up to €/$2,000 if you happen to be a high roller. The bonus code to use in that case is 'HIGHROLLER'. PlayAmo is also a Casino to check out if you want to play with crypto. You can use all major currencies to play real money games on this site – including bitcoin, ethereum, bitcoin cash, doge coin, and lite coin. There is no welcome bonus if you deposit with crypto but all the other perks of this Casino still apply. *: Vegas Luck Casino latest bonus might change according to your location. For more info, check the bonus T&Cs. If you are a Slots player, I am sure you know the value of a good new free spins bonus when you find one - especially when this happens at one of the best Netent Casinos available in the United Kingdom. This month, you can get up fo 50 bonus spins after you signup and you make one deposit. 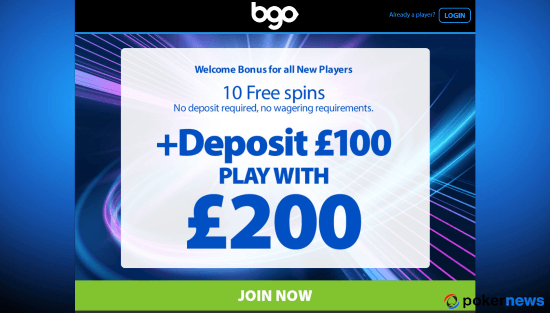 Since this Casino is part of the BGO family, you shouldn't be surprised by the formula chosen for their latest bonus: 1 bonus spin for each £1 you deposit. All the spins have no cap on winnings and no wagering requirements, meaning you won't be trapped in any complicated scheme in case you win. 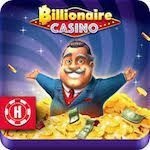 *: King Billy Casino latest bonus might change according to your location. For more info, check the bonus T&Cs. One of the best things this month is the new deposit bonus package available at King Billy Casino, the winner of last year's Best Mobile Casino Operator award. 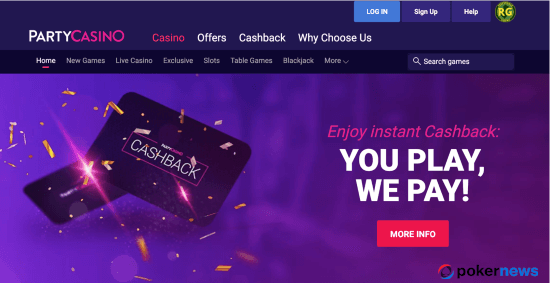 As the latest Casino no deposit bonus codes they had available on the site have expired, all the attention now is on one of the biggest Casino bonuses you can get in April 2019. King Billy welcomes new players with not one but four bonuses for you to get a chance to play as much as you can and discover one of the top Casino sites in 2019. The four-part offer begins with a 100 percent bonus for up to €2,000 and 200 free spins on your initial deposit, provided you sign up for an account via this page. I find it hard to believe that anyone with an interest in gambling wouldn't already have an active account at Casino.com but - hey! If you don't, you are a very lucky player. In April, Casino.com's latest bonus gives you the opportunity to play with 200 free spins and lots of free money on your first deposit. This bonus package starts with a no deposit bonus of 20 free spins to play selected Slots. Click here to collect your free spins! The free spins bonus at Casino.com does not require any bonus codes, provided you use the links I've included on this page. Being one of the largest and most respected online Casinos in the world, Casino.com is a room that needs little to no introduction. They offer state-of-the-art software, all the best Slots games you could ever ask for, and a stunning live Casino section. *: OmniSlots Casino latest bonus might change according to your location. For more info, check the bonus T&Cs. 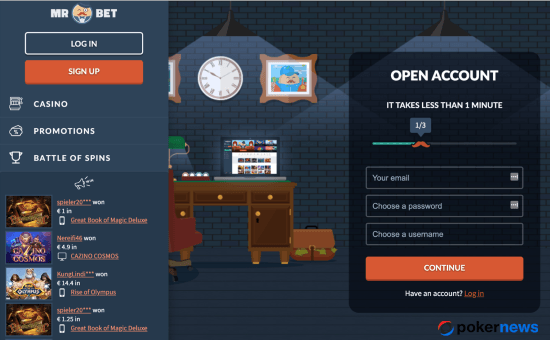 This month, there's a pretty good promotion to play Slots Casino gams on a website you probably don't know much about: Omni Slots. If you are up for some Slots fun, you can test this platform with 80 free spins on Ogre Empire and up to €300 in bonus money as soon as you make your first deposit. The latest Casino bonus code to claim this offer is OGRE80, so make sure you use it when you complete your deposit to activate the offer. Omni Slots features also a good reload bonus. Use the promo code OGRE300 to unlock the second part of their welcome bonus pack and add 20 additional free spins (always on Ogre Empire) and a 50% match bonus for up to $300 more. This site is one of our suggested Casinos in 2019 and you'll find plenty to enjoy there as a Slots player. *: Rolla Casino latest bonus might change according to your location. For more info, check the bonus T&Cs. 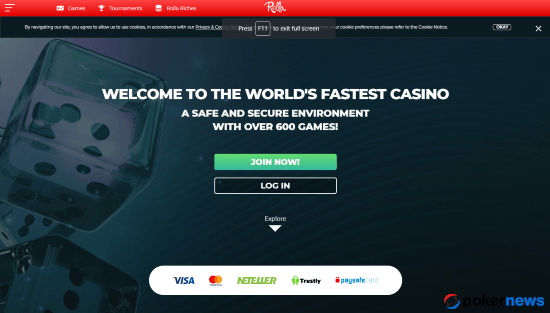 So far, Rolla Casino has been one of the most positive surprises we have seen come up in 2019. The site is licensed by three gaming authorities (UK, Malta, Curaçao) meaning nearly everyone can play here. The games are great, they website is a whole new take on online gambling, and their tournament calendar is just amazing. In April, you also get a special bonus package to play at Rolla Casino. First, there's a standard 100% match bonus to 2x your deposit for up to £1,000 in free money. Good - but not mind-blowing. That's when the WOW factor kicks in. As a player at Rolla Casino you have a 10% weekly cashback bonus on your losses guaranteed! *: KTO Casino latest bonus might change according to your location. For more info, check the bonus T&Cs. 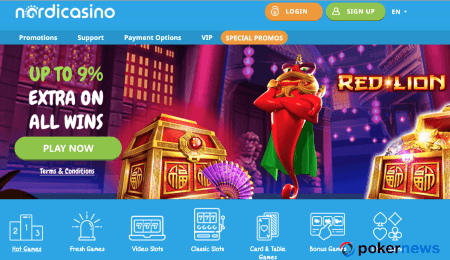 April marks the first appearance of KTO Casino in our list of the latest Casino bonuses to play online and - despite this offer not being mind-blowing...it's a good one to discover the site. The bonus at KTO is a standard 100 match one, capped at €100. What's particularly good about it is that you can deposit as little as €10 to play and qualify for the bonus. This makes KTO's the Casino with the lowest minimum deposit on this list. 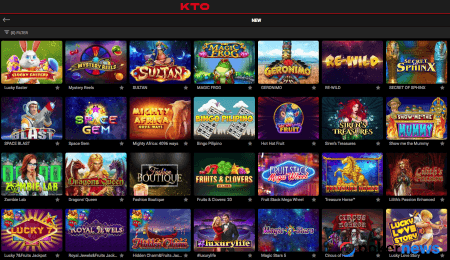 Launched in 2018, KTO is an impressive Curaçao-licensed online Casino with more than 6,000 games available for free and real money play. Keep in mind that the Curaçao license means that players from some specific countries won't be allowed to play there. Like those in the United Kingdom, for example. *: PartyCasino latest bonus might change according to your location. For more info, check the bonus T&Cs. The Casino arm of the PartyPoker family is a great site where you can find everything you need to have fun and win big. PartyCasino April bonus is great to discover a site that players consider to be one of the best in the world. If you want to know all the details of the Terms and Conditions connected to this offer (incl. the wagering requirements), you can visit this page. 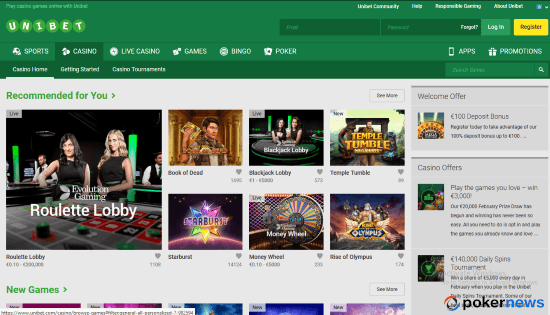 *: Unibet Casino latest bonus might change according to your location. For more info, check the bonus T&Cs. The gaming hub of the Swedish giant counts more than 530 Slots and amazing live Casino games. If that's what you are into, make sure you don't miss their April Casino bonus. *: TonyBet Casino latest bonus might change according to your location. For more info, check the bonus T&Cs. TonyBet Casino has been off our radars for a while. The site used to be a little too confusing for newbies and their bonuses needed so many promo codes that it was really hard to understand what one would get on signup. Finally, everything seems to have changed there - and their latest bonus offer is a stunning free €10 with no deposit needed to enjoy some live dealer games. If you like live Casino action, go get this bonus today. The site is known to be home to one of the very finest live dealer platforms in the world and you don't get free money to discover that very often. Also, TonyBet now accepts PayPal. This makes deposits and withdrawals so much easier and convenient that it might just be the perfect Casino to try in April. *: BetZest Casino latest bonus might change according to your location. For more info, check the bonus T&Cs. Can this be the most interesting Casino bonus in April? BetZest is a brand-new Casino site with a mission: sign up a lot of players, and sign them up fast. A €5 Bonus with no deposit needed. Once people will start talking about BetZest on social media, they will do what all Casinos do: they will pull the no deposit bonus and replace it with some new bonus code to go with a deposit. If you want to get the free 5 bonus to play, continue to this page. Either way, I think you should take the bonus and play. *: Wunderino Casino latest bonus might change according to your location. For more info, check the bonus T&Cs. If you don't know what I am talking about and still need to discover why so many people opened an account there, April is the right month since they have a good bonus offer for you. *: BitStarz Casino latest bonus might change according to your location. For more info, check the bonus T&Cs. Here's another new entry that I am sure is going to make a lot of players happy - since not only BitStarz is a n exciting Casino site - but it also welcomes everyone with 20 free spins on the house. But I prefer to let the numbers speak - especially since BitStarz features more than 1,600 super high-quality games. Many consider this to be the ultimate Casino site. Are they right? Grab this 20 free spins bonus available in April to find out! *: Mr Green Casino latest bonus might change according to your location. For more info, check the bonus T&Cs. 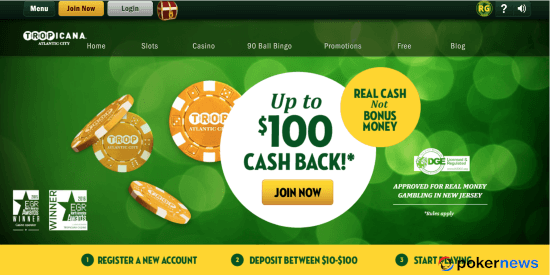 In case you haven't heard this yet, April 2019 is a great month to play at Mr. Green Casino as this website is literally showering new players with bonuses. Well, picture this. 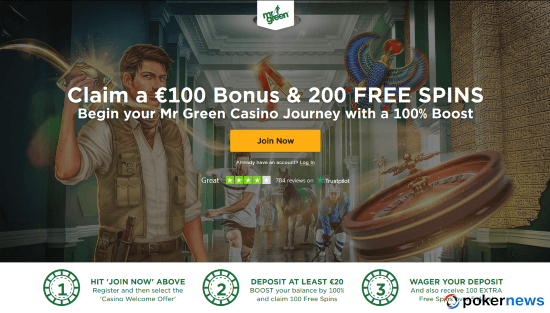 The latest Casino bonus available in April at Mr. Green gives you a 2x your deposit up to €100 in free money and 200 free spins!. *: bCasino latest bonus might change according to your location. For more info, check the bonus T&Cs. 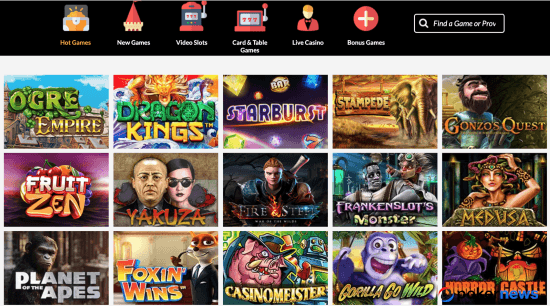 April marks the launch of a new bonus at bCasino, the UKGC-licensed Casino site with lots of great games by Netent, Fugaso, and many others. The April bonus code activates a package that applies to your first three deposits - meaning this new Casino code will keep you happy for quite some time. 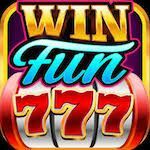 *: Gate777 Casino latest bonus might change according to your location. For more info, check the bonus T&Cs. April is a "no bonus code month" at Gate777 Casino, as their new package is available to all players. Once again, they launched a multi-deposit offer that gives you extra money and spins to play over your first four deposits. *: 7Gods Casino latest bonus might change according to your location. For more info, check the bonus T&Cs. This Malta-based and licensed Casino site is running to become the best online Casino of 2019 at the AG Awards. Not only 7Gods Casino already made it to the final top 10, but it keeps attracting new players through a very powerful combo: great games and solid bonus. Their latest offer features 77 free spins and up to €100 to play all the games you like, and that's all yours with just one deposit. *: Casumo Casino latest bonus might change according to your location. For more info, check the bonus T&Cs. 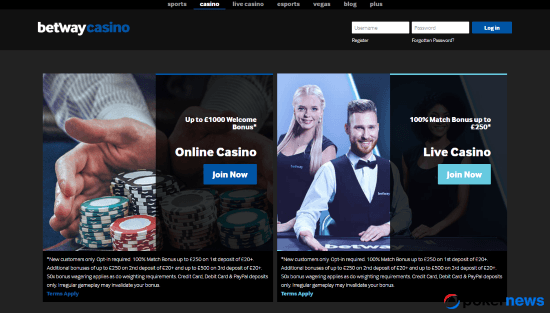 Also, this is not the only Casino bonus available at Casumo Casino in April 2019, as this site doubles your deposit for up to £300 the first time you throw some money into your account. *: VideoSlots Casino latest bonus might change according to your location. For more info, check the bonus T&Cs. They offer the largest no deposit bonuses in April and a great deposit promo that gives you the best bang for your buck. The no deposit bonus available in April is 11 free spins. VideoSlots' welcome bonus is a 100 percent match bonus of up to €200 + €10 in free cash. You do not need to do anything to activate the bonus, provided you've used the link above to claim the no deposit offer. Go to "My Profile" -> "My Bonuses" to activate the match promo for up to €200 in extra bonus money. If you want to know all the details about the Terms and Conditions connected to this offer (incl. the wagering requirements), visit this page. *: Wild Tornado Casino latest bonus might change according to your location. For more info, check the bonus T&Cs. Here's another new online casino site with a welcome bonus you will like. Wild Tornado caught our attention because it offers a really nice gaming experience and features more than 2,000 games. The site features blockbusters Slots and a lot of niche games that will keep you busy for more than a while. They don't have Live Dealer games, but they make up for it with quite a number of bitcoins games. And that's not the best part yet. What's more, is that the welcome bonus in April is of 25 free spins with no deposit needed. You just sign up via this page, confirm your email, and play 25 rounds of real money games. Just like that. If you are looking for an easy way to play Slots this month, go ahead and sign up via this page. *: Energy Casino latest bonus might change according to your location. For more info, check the bonus T&Cs. Energy to play is not the only thing EnergyCasino can give you. Deposit for the first time and it will double your deposit up to €200. If you want to try all the games at Energy Casino – make it a resolution to play one new Slot per day. And you'll have enough Slots for a couple of years! And by the time you're done with current ones, EnergyCasino will have enough new Slots for another couple of years. The fun never ends here. *: PokerStars Casino latest bonus might change according to your location. For more info, check the bonus T&Cs. In April 2019, you can play games at PokerStars Casino with three different bonuses. Remember: you need to use the April PokerStars Casino promo codes. Visit the PokerStars Casino website for a full list of the Terms and Conditions connected to this April Casino bonus. *: Lord of the Spins Casino latest bonus might change according to your location. For more info, check the bonus T&Cs. Right this month, the Casino is running a number of very interesting promotions that I think you should consider if you are looking for the best Casino bonus offers to play in April. *: Mr Bet Casino latest bonus might change according to your location. For more info, check the bonus T&Cs. Not only this Casino is a new entry on our list of the latest Casino bonuses, but it' also one of the most generous ones on this page. While you should read this page to know more about the room, the button below gives you access to a stunning 400 percent bonus that is worth up to €1,500 on your first four deposits. *: Big5 Casino latest bonus might change according to your location. For more info, check the bonus T&Cs. Speaking of new sites, Big5 Casino is another noteworthy one…especially because the bonus they offer in April features a lot of free spins. Ideal for any Slots player, this is one of the easiest Casino bonuses to get in April 2019 as you can use your Google, Facebook, or Twitter account to join the band and play. *: NordiCasino latest bonus might change according to your location. For more info, check the bonus T&Cs. As you can see from our page dedicated to the latest casinos to launch in 2019, NordiCasino is a promising igh-quality operator with good chances to succeed. While it's not the most generous site of 2019 (I looked for no deposit bonus codes but I haven't found any), the bonus they give to all the new players in April is a good one. Not only the match bonus on the first deposit is larger than at most sites (it's a 200 percent one, capped at €1,000), but you get also 20 no-wager free spins to play on selected Slots. *: CasinoExtra latest bonus might change according to your location. For more info, check the bonus T&Cs. Launched back in 2012, Casino Extra is a very good online Casino site for all kinds of players. What I like most about this site is the healthy balance they keep between the choice of Slots and that of table games. Although Slot machine are the dominant product on the platform (there are more than 600 titles), table games are numerous and of the highest quality. Don't let the old-fashioned black-and-gold interface mislead you: this is a modern gaming site with excellent games to play. As for the latest bonus to play at Casino Extra, the best offer I found online is a €50 match bonus topped with 100 free spins. Although they say the welcome bonus is of €500 - it really isn't. That number is the sum of the bonuses they give on the first, second, and third deposits. You don't need a bonus code to claim this offer. Just click on the button below to get the bonus and play. *: OmniaCasino latest bonus might change according to your location. For more info, check the bonus T&Cs. Personally, I find Omnia Casino to be one of the most interesting new Casino sites you can play online in April. Everything in this Casino is different, and you only need to open the site's homepage to understand to what extent. Need the latest Casino bonus to play at Omnia Casino? 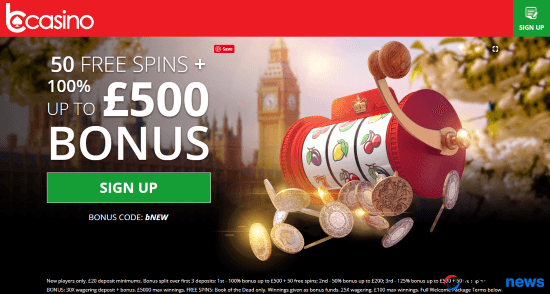 The links I've added on this new bonus page guarantee a match bonus of up to £100 and 50 free spins to play Twin Spin, making it one of the top new Casino sites to try this month. *: React Casino latest bonus might change according to your location. For more info, check the bonus T&Cs. 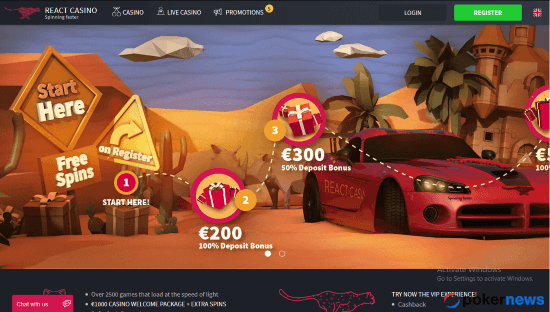 Our page dedicated to the best no deposit bonus codes and deposit bonuses to use in 2019 begins with one of the best Casino bonuses you can get in April 2019: the 1,000 free spins package available at React Casino. This online Casino site hosts more than 1,600 different games from top developers like NetEnt and Microgaming and features some of the best titles you can play right now. 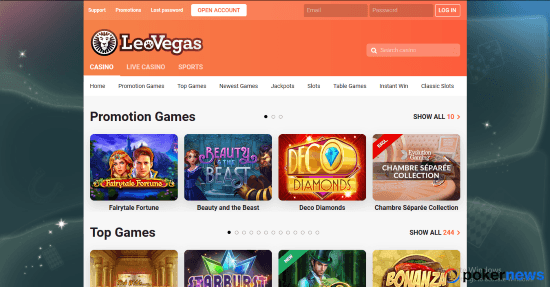 When I reviewed the site, I found 176 variants of video poker and more than 150 table games, making it possibly one of the most complete Casino platforms available in 2019. Also, this huge free spins bonus that gets you up to 1,000 free spins to play NetEnt Slots can be combined with all the other promos running on the site, including the 10 percent cashback on your gambling losses. *: LadyHammer Casino latest bonus might change according to your location. For more info, check the bonus T&Cs. 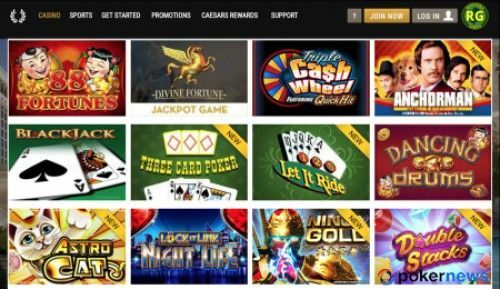 This beautiful new Casino site is trying to attract new players through an aggressive promo policy, which makes it one of the best Casinos with bonuses to play in April 2019. Once you have used your no deposit bonus, you can then work your way through a very generous package that earns you €400 in bonus money and 130 free spins. The package is split into three parts, giving you three different bonuses on your first three deposits. *: Casino SuperLines latest bonus might change according to your location. For more info, check the bonus T&Cs. If Casino SuperLines is one of the top gambling sites to try in April 2019, this is also because of their latest Casino bonus. *: Spintropolis latest bonus might change according to your location. For more info, check the bonus T&Cs. Now, this is a good new bonus to get in April. 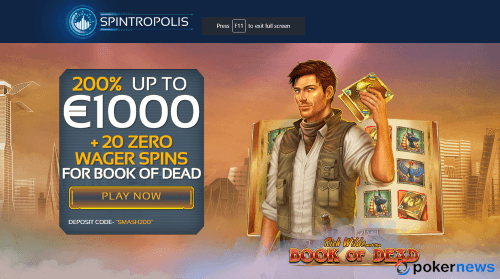 Spintropolis is a new Casino site with a lot of fun Slots games - like Trump It, and they've just launched a pretty good bonus. 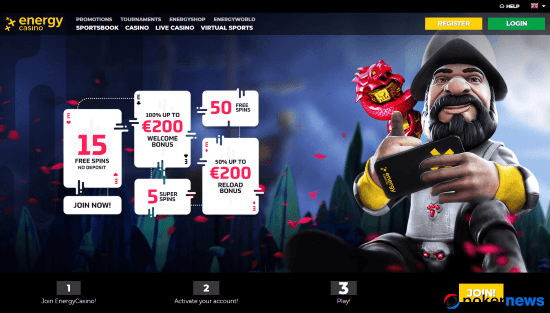 In April, you can get €1,000 in free money and 20 wager free spins if you sign up for an account on this page and make one deposit with the bonus code SMASH200. That's a new Slot all Book of Ra players love. *: Spin Palace latest bonus might change according to your location. For more info, check the bonus T&Cs. Being one of the best gambling sites of 2019, Spin Palace features the best Casino bonus available in April with up to €1,000 for you. Once you've finished with this bonus, you can get up to €750 more with your second and third deposits. The second bonus is a 25 percent match that nets you up to €300 in bonus funds, while the third one is a 50 percent bonus for up to €450. *: 24Bettle Casino latest bonus might change according to your location. For more info, check the bonus T&Cs. 24 Bettle Casino was launched only a few months back. It offers one of the safest bets of 2019 as the Casino combines a modern platform with a stunning portfolio of games. They've got an exclusive no deposit bonus for all PokerNews players! You can play at this site with 24 no deposit free spins at Gonzo's Quest, Starburst, or Twin Spin. You also get €1,200 in bonus money and additional free spins on deposit. I'll be writing a review of this Casino in the next weeks but, until then, make sure you collect the free spins and play real money games with no credit card needed. *: SlotsMagic latest bonus might change according to your location. For more info, check the bonus T&Cs. If you are planning to play Slots in April, you better use the bonus code that gets you free spins for one entire year. In April, for example, you can get up to €100 and 570 FREE SPINS by using their latest promo code. The Y520 promo code guarantees you a 100 percent match deposit bonus of up to €100. 10 free spins are yours every week until April 2019! You can visit this page for a full list of the Terms and Conditions connected to this April Casino bonus. *: YakoCasino latest bonus might change according to your location. For more info, check the bonus T&Cs. Not everyone loves the mainstream brands. Some of us love the underdogs, so let me present you the best underdog Casino bonus available in April 2019. Make a deposit, and get ready to rock with the 242 free spins and $333 on tap in April. The bonus package available in April features 20 NO DEPOSIT free spins, a 100 percent match bonus of up to $333, and 222 free spins on Starburst. *: Lucky Dino Casino latest bonus might change according to your location. For more info, check the bonus T&Cs. Here's the second outsider to make it to the top 10 list of the best Casino bonuses in April 2019. 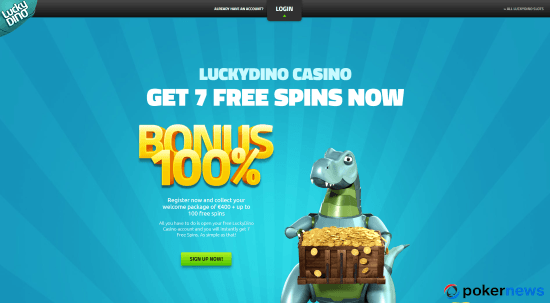 Lucky Dino offers the fastest payouts in the industry and is a home for the best Slots games. If you want to play Netent's Slot game Finn and the Swirly Spin, you need to get yourself a free account at Lucky Dino. Their April Casino bonus is pretty good, too. The bonus comes in two instalments released after the first and the second deposit. *: Breakout Gaming latest bonus might change according to your location. For more info, check the bonus T&Cs. The list of the best Casino bonuses available in April closes with a new Casino site - Breakout Gaming. Breakout Gaming is also mentioned on the list of the best Bitcoin Casinos of 2019. There you also find a section dedicated to Virtual Sports. These Bonuses are for NJ Players Only! In 2019, you can play real money Casino games in the state of New Jersey - even if you are not a NJ citizen. Remember: these are the best Casino bonuses you can get in NJ right now. To know more about each individual offer - continue reading. April is a really good month to play at Sugar House Casino, as their NJ Casino bonus gives you plenty to play. The main hero of the welcome bonus you get at SugarHouse Casino NJ is a match bonus that gets you up to $250 in free money. Second in size in the whole state of New Jersey, this is a one-of-a-kind Casino promotion since this match bonus comes with a terrific 1x play-through requirement! As the SugarHouse Casino website puts it, they "have the simplest and lowest bonus requirements in the market." And one can only love that. In April 2019, this isn't the only Casino bonus you can snap to play some real money games at SugarHouse. Use the Free Bonus Bingo to play online bingo games for free on the platform. Once you are logged in, you will receive free invitations to play Bingo - make sure you don't miss the opportunity, because the prized you are up for are bonuses for real money Casino games! The iRR Loyalty Program is also a great way to add some fat to your bankroll. Play, climb the loyalty levels, and accumulate rewards to play free real money games. As a Casino player can't go wrong with Borgata Casino NJ this month, as their exclusive bonus is a great one to explore their Casino software. Everything happens on signup and you don't need to use any bonus codes to claim the $20 no deposit freebie on tap. Yes, you receive the free money to play real money games before your 1st deposit. And that's great. Borgata NJ is one of the best NJ Casinos you can find in the United States and the no deposit bonus is there to help you discover just that. Then, like it happened with SugarHouse NJ, this isn't the only promotion available at this Casino. For a limited time only you can win a bonus of up to $1,000 in the President's Day Guaranteed Bonus promotion or find yourself with free spins to play Starburst. All this, at one of the top online real money Casinos in NJ. Not bad, right? This month, Tropicana Casino decided to offer something slightly different from the other NJ Casino sites - a bonus for those who are serious about gambling. There's a cashback bonus for up to $100 that helps your recover your losses when luck doesn't come your way. Keep in mind that the cashback promotions at Tropicana Casino NJ gives you real money, not bonus money, meaning there's a lot of value for you. If luck doesn't come your way, the latest Casino bonus at Tropicana NJ covers your losses with up to $100 Cash Back on the value of your 1st deposit. Meet the second no deposit Casino bonus available in New Jersey this month. If free money is what you are after, act quickly and grab the free $10 on tap at Caesar's Casino in NJ. Activating this offer couldn't be any easier. Just click on the button below to register a free gaming account and the money is yours as soon as you are done with the registration process. In April, you can no longer apply for the Lucky in Love promotion that used to be available at Harra's Casino NJ, meaning the $14 bonus is gone and the LOVE14 bonus code is no longer active. This shouldn't come as a surprise as the bonus was a limited time promotion to celebrate Valentine's Day. Now that we are back to the regular promo offers, you can once again grab their well-known no deposit bonus of $10 free to play all the games you like. Sign up via the button below to activate the offer, grab your free $10 and keep in mind that there's also a 100% welcome bonus on your 1st deposit that can earn you up to $300 in additional free money. Unsurprisingly, the latest Casino offer available at Virgin Casino NJ is the same one you find at Tropicana Casino. Here too, you can limit your losses with a cash back bonus for up to $100 in real money. Before you activate this promotion, do remember that the cash back bonus is calculated as a 1:1 match on your 1st deposit, meaning you'll have to deposit $100 to get the maximum amount. Last, but not least, the welcome bonus at PartyCasino NJ. In April, you can play on this well-known Casino software with up to $500 bonuses - and I use the plural form as not everything is your after one deposit. Which such a reload bonus, you might want to opt for this promotion if you plan to play at this Casino site for long. If you are not in the state of New Jersey, these are the online Casino sites, apps, and softwares that let you play Casino games from the United States. Grab all the bonuses and play! These Bonuses Are for US Players Only! Do you want to play legal online Casino games with the best bonuses? Check out the list below and pick your favourite! 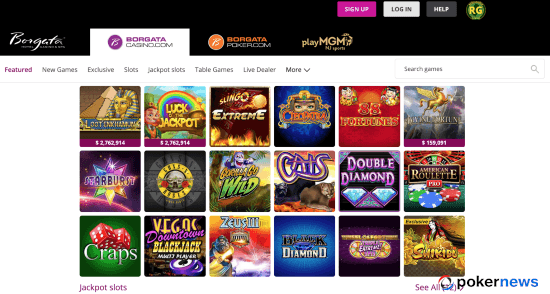 In case you haven't heard this yet, April 2019 is a great month to play Slot machine games at Slotomania as this website is literally showering new players with bonuses. Well, picture this. The latest Casino bonus available to play at Slotomania in April gives you 20,000 free coins to play! Slotomania is currently ranked as the best social Casino site in 2019 and is 100 percent legal in the United States. If you don’t have an account there yet, make sure to open one right now to start with the fabulous no deposit bonus available in April. 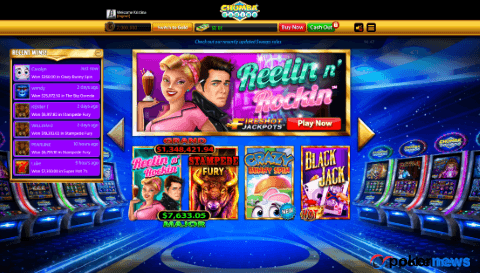 Chumba Casino is one of the very few portals that still offer real money Casino games on a great gaming platform. Although the site might need a revamp, the games available are pretty good and the fact you can play to win sweeps that you can then redeem for real money prizes makes everything a lot more exciting. By far the best attempt to survive the UIGEA and make US players happy. You can try real Casino games at Chumba with a free bonus that will get you started in no time. Click on the button below and follow the instructions on the screen to get the best bonus offer available in April 2019 - a free $2 no deposit coupon to play. This little gaming app features so much more than just Blackjack games that its name might be its biggest limit to date. 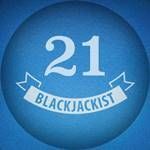 Blackjackist is a great mobile Casino app to play Blackjack, Poker, Slots and Roulette games straight from the palm of your hands. The best part? 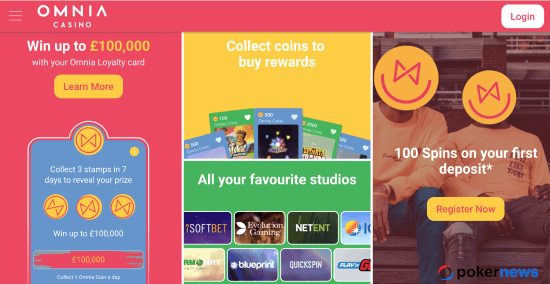 Not only their games are great (you can read all about them on this review of the Blackjackist App), but you get 7,000 free coins on signup - with no deposit needed! Just click on the button below, install the Blackjackist app, and the free coins will be yours to play what you like. This one is an immediate bonus so you don't need to do anything else to claim it. WSOP Poker: Better than the Mega Bonus? Given we are on PokerNews.com...how about we play a bit of online poker? If you are looking for some poker action and you are in the US but you are not in NJ, Delaware, or Nevada - go ahead and make the most of the new bonus on tap at WSOP Poker. This app is a must-have for every poker player. The tournaments are great and the action is insane - especially since you can play with players from all over the world. The best part is that you get a free initial bankroll of 250,000 in chips to sit at the table and play. 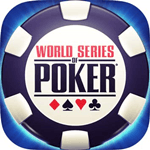 The app features poker games, tournaments, and well-designed and entertaining Casino games. Are You on PokerStars Play Yet? The world's largest online poker site, PokerStars launched an exciting new social app to play online poker games and Slots even if you are in the United States. 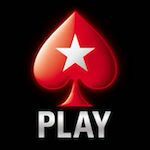 The apps' name is PokerStars Play and you can download it for free to Android and iOS download. The best part is that you get a free initial bankroll of 100,000 in chips to sit at the table and play. The app features high-quality cash action and tournaments alongside well-designed and entertaining Casino games. 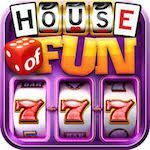 Not to be confused with the real money Slot machine with the same name, House of Fun is another great online Casino site to discover in April. Remember: there are no bonus codes available in April. Simply use the special signup page linked from this article and register for a free account. Then, the bonus is immediately yours. Even if I am wrong and this bonus stays - why not claim it now while it’s still available? If you are into the old-fashioned three-reel Slot machines, do not hesitate and claim the bonus right away. I know you'll love this game. Otherwise, if modern video Slots are more up your alley, I think April is the right month to grab the latest Casino bonuses to play at House of Fun and Slotomania. PokerNews is a Poker and Casino affiliate site. We might earn a commission when you choose to play for real money online at the featured online Casinos.